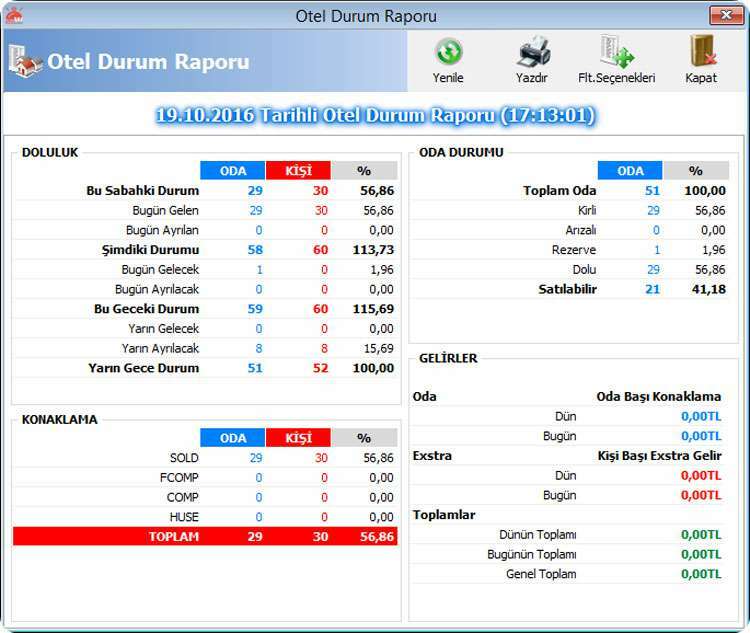 * Controlling occupancy of hotel and checking reservation operations by using reservation chart. * The feature of sending bulk sms or e-mail. 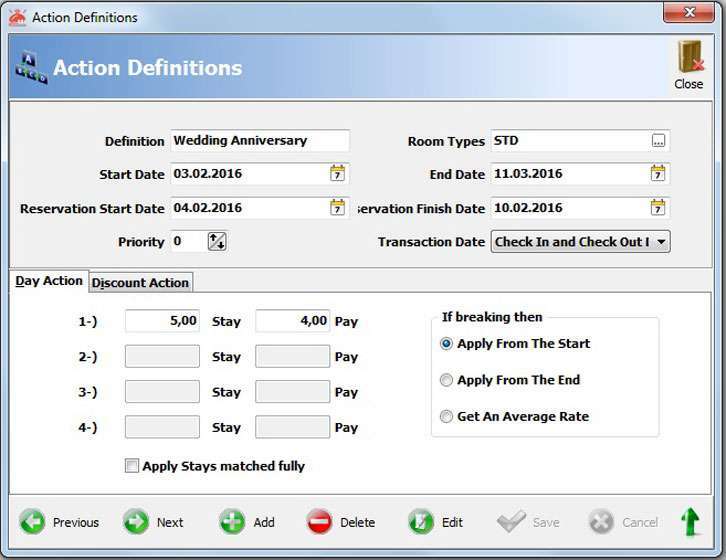 * Closing balance of guests according to defined folio payment type with one button. * Getting report about chef of house keeping. 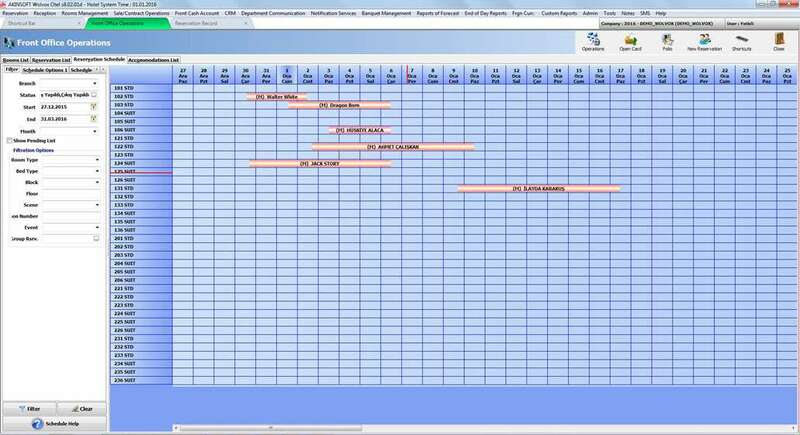 * Tracking shuttle hours for transpotting to hotel. All hotel events like wedding, company organizations etc. 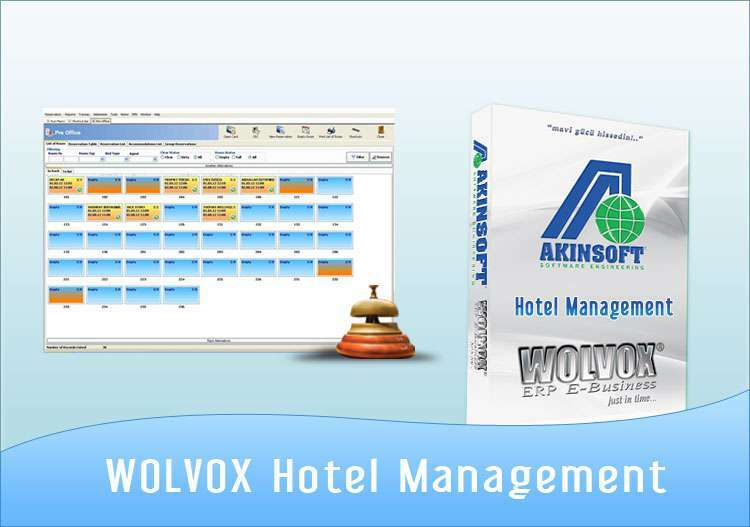 can be planned and managed easily with Wolvox 7 Hotel software. 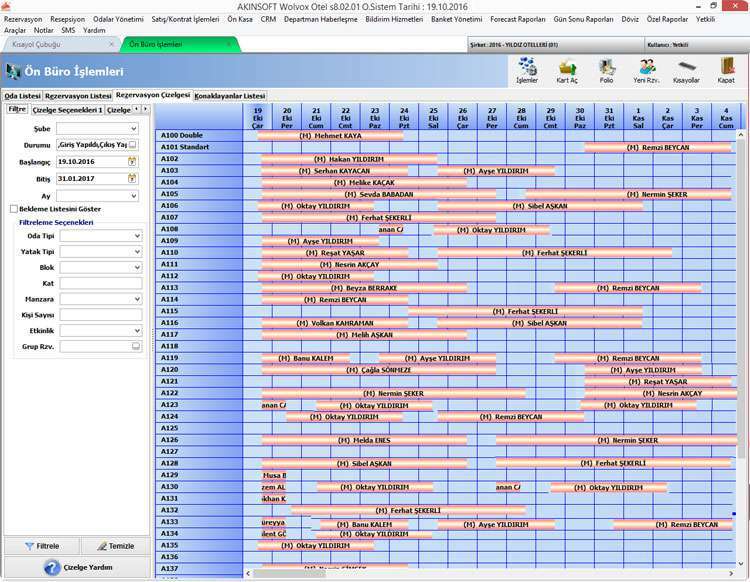 By using WOlvox 7 Hotel event calendar, you can control all planned events. You can list all equipment that will be used in events. 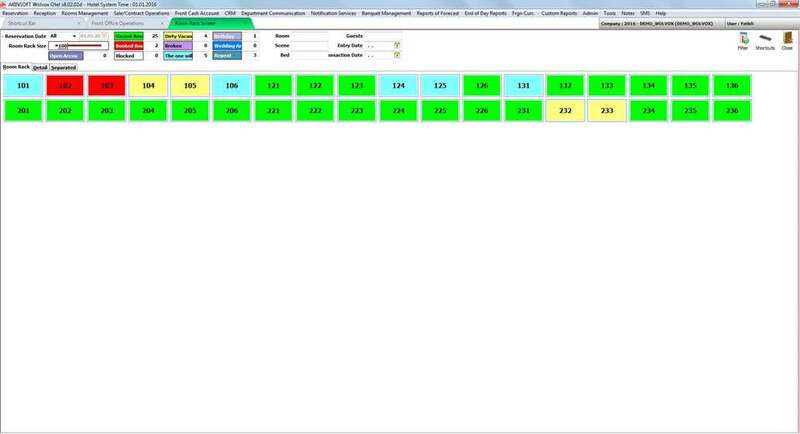 CRM is management of relations that are between you and your customer effectively. WOlvox CRM (Customer Relationship Management) will help you to increase investments and profit of your business by caring your customers more than you do, with the princible of creating customer loyalty. 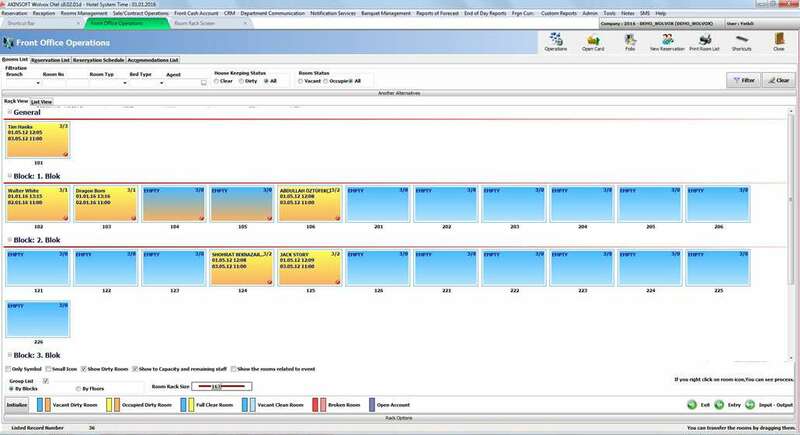 * Getting understandable reports by displaying results graphically. 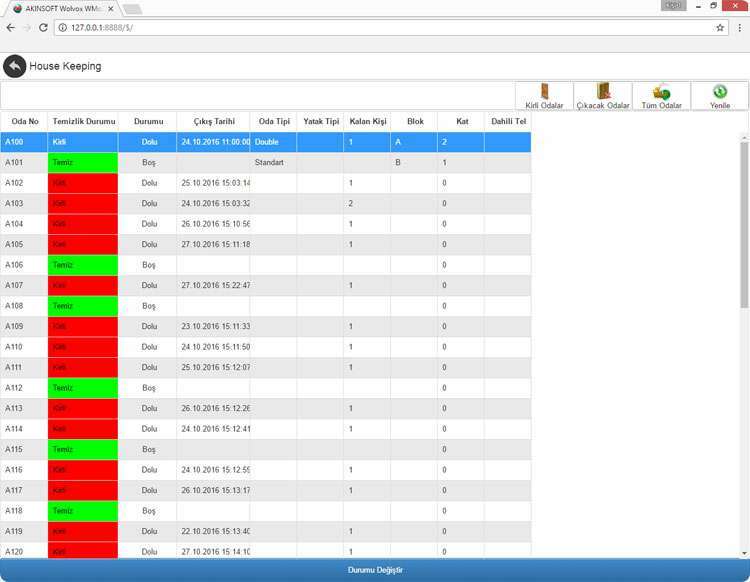 * Printing label for packages and specifiying prices manually or automatically from stock prices by creating package descriptions.